In today’s modern world, many humans would like to have smart phones especially powered by Android operating system. Android is one of the user-friendly and attractive mobile OS that has released in various versions. Everyone knows that android versions always has anyone of the sweet candy name for showing difference in their own. Likewise, Android 5.0 Lollipop is a new version of android as a sweet take on android platforms. This latest version of android operating system allows smart phone users not only on their mobile phone and tablet but also it powers their TV, car, and watch. 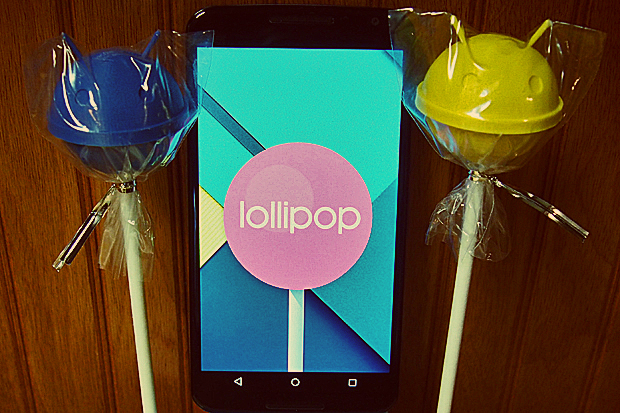 The users will definitely experience a new platform of android with this lollipop. It has more tangible interaction, and right moments with the fluid and purposeful motion. Some of the additional features are less time charging, more time playing, more ways to secure a mobile device, and several features. This android L platform will go to get a new radical design with the 5000 new APIs for providing the different experience to the smart phone users. The people will surely acquire an unexpected mobile experience when they are having it on their smart phones. The first release of android 5.0 version will be with Nexus 7 and Nexus 5. It is available from this June 26 to the developers. All Nexus users will surely get the best android smart phone experience with its features. HTC is already in contact to get this feature for forthcoming upgrade of mobiles to the android L 5.0 version. Android L 5.0 version is recently announced android mobile operating system for the smart phone users. Many smart phone users who use HTC, Nexus, and other mobiles are excited when this lollipop 5 android version was launching in the market. Most of those users are still using only KitKat version and they are not upgrading their mobile OS to the lollipop 5.0. It is must to upgrade their smart phone operating system to enjoy new features and facilities of the lollipop. Everyone will definitely get the best experience with this latest version of android. Some of the android smart mobiles allow users to upgrade their operating system to this new version called lollipop. Some of those mobiles do not allow for upgrading because there are not new android version for that particular phone model. The people who have smart phones should need to wait for the new coming of compatible lollipop version because all are in the process. New version of lollipop will come soon for all devices. The new wonderful features of lollipop 5.0 will give people greater experience. Android lollipop is a mainly significant change to the Google’s smart phone operating system in this year but not every change is an improvement. This latest version of mobile OS of android makes everything simple to the smart phone users. Some main features of this operating system are notifications and access, multitasking, design and interface, more time playing/ less time charging, and higher security to the device. The mobile users will get a smooth device experience with all these features of Android Lollipop 5.0.